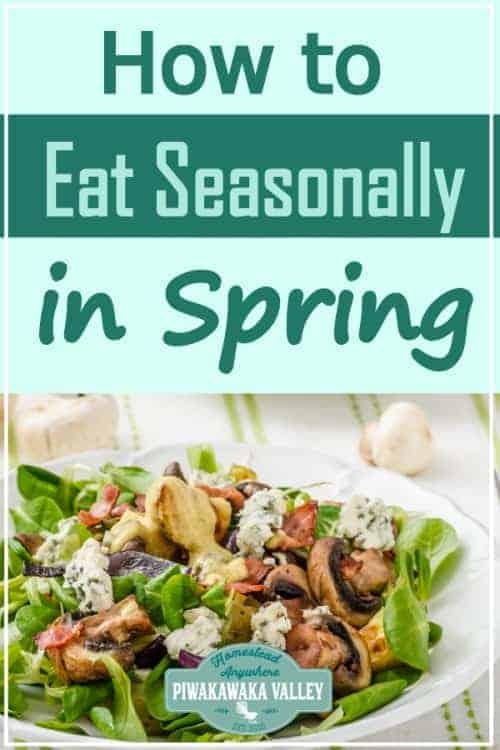 Eating seasonally is simply eating fruits and vegetables that are harvested during the same time of year as when you are eating them, for example, eating citrus during the winter and asparagus during the spring. Since the start of mass agriculture, buying produce year-round is easy and convenient. Unfortunately, this disrupts the quality of the produce, the environment, and the local economy. This is why eating seasonally is important and should be practiced as much as possible. Produce that is consumed in their harvest season are higher in nutritional value. Foods that are out of season typically need to be transported from long distances and stored for a long time, they are often picked earlier to ensure they are more firm and survive the trip and storage. This affects the nutrient value and flavor of the food because the time between it being harvested and getting to the plate is a lot longer. Seasonal fruits and vegetables are typically sprayed with fewer pesticides; if any at all because they aren’t trying to fight nature to force them to grow and produce. When eating seasonally, it’s best to buy produce from your local farmers market or grow your own. 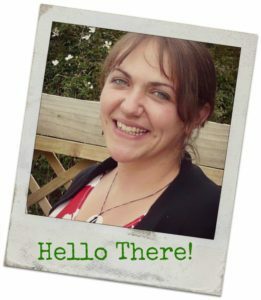 As we consume more produce that is grown seasonally, the demand for out of season produce lessons. Our bodies were meant to eat different foods as the season changes. During the fall and winter, we crave comfort food to gain more weight and to keep us warm. While in spring, we crave greens that are low in calories, to help us detox and lose the weight gained during winter. Finally, in summer we eat cool and refreshing produce to keep us cool and hydrated. 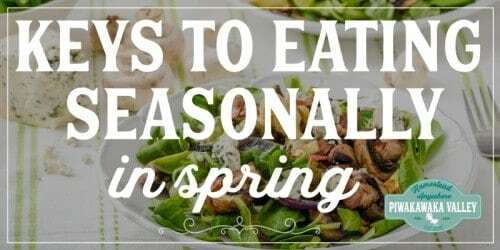 Eating seasonally also provides variety and excitement to your diet. It supports your local economy because the best place to shop for in-season produce is from your local farmers market. As you continue to eat foods that are in season you will notice plenty of health benefits as well. 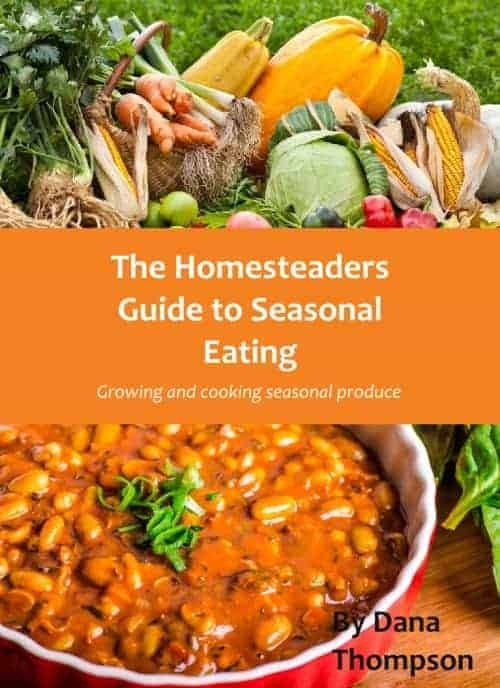 This extensive guide to seasonal eating includes tips for getting and using seasonal produce, a section for each season including gardening tips, planting lists and season appropriate chores as well as 10 recipes to use each seasons produce. Winter is over and it’s starting to finally warm up again, which means cravings for fresh greens are kicking in. Just like how we change our clothes as the seasons progress our natural cravings for food will too. Our bodies were designed to adapt to our surroundings. This means when it starts getting cold outside we will crave heavy and warm foods and during hotter months our bodies will crave cool and refreshing foods like lettuce and celery. Springtime brings an abundance of fresh fruits and vegetables; the majority being fresh greens. We crave fresh greens in spring because of several natural mechanisms. It is always best to listen to your intuition with this sort of thing! Fresh greens are full of antioxidants and minerals that your body craves. 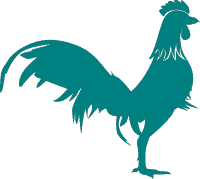 They offer the most nutrition than any other food. The primary vitamins include C, K, A and foliate. They are also high in iron, potassium, and fiber. Spring greens allow your body to detox and regenerate after a winter full of comfort foods and viruses. Greens are lightweight, low in calorie and have a high concentration of water. They are also high in micro nutrients. All these factors work together to keep you cool during warmer weather. As you can see, our bodies crave greens during spring for good reasons. They help supply nutrients that were missing during winter, help cleanse the body to prepare for warmer weather. Spring greens are light, refreshing and high in vitamins responsible for energy levels. In the winter, all your body wanted to do was rest but now it is time to get moving, enjoy mother nature and fill up on spring greens. Now that the weather is starting to warm up it’s safe to venture out of your house and grab some fresh fruits and vegetables at your local farmers’ market. Your body is probably even craving some greens and the local market is the best place to get them. Don’t let the appearance of artichokes scare you. This vegetable is easy to cook, delicious and full of nutrients. Simply, snip off the tips of the leaves and place into a pot with water and lemon juice, about halfway. Bring to a boil and let simmer until the artichoke is tender. Asparagus is a superfood that is packed full of nutrients and is at its peak in Spring. This vegetable can be prepared raw, blanched, grilled, oven-roasted, boiled and fried. Mid to late spring is when cherries start to arrive at farmers markets. Cherries contain high amounts of antioxidants and help reduce inflammation and aids in digestion. They are popularly made into pies and jams or eaten fresh by my children! Spring greens are probably the most common food to buy at the farmers’ market this season. 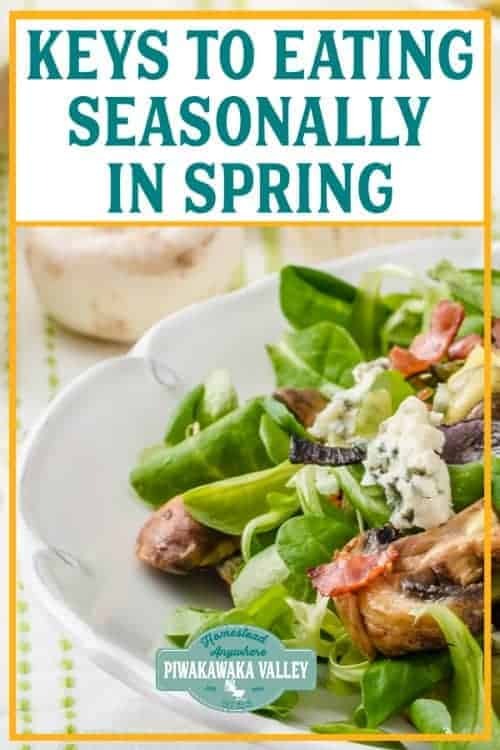 Most farmers markets are filled with arugula, kale, bok choy, collard greens, dandelion greens, parsley, spinach, spring baby lettuce, Swiss chard and pea shoots this time of year. The best time to buy strawberries is when they are in season in your area, this can range from early spring to mid summer depending on where you live. They are full of antioxidants that help regulate inflammation and protects the skin. Make sure you get to your farmer’s markets as early as possible before they run out. Before mass production of agriculture and refrigeration, life was much different and food sources were very scarce. Refrigeration allows us to store and preserve our foods for long periods of time, most farms and supermarkets now have massive cool stores designed to keep all sorts of fruit and vegetables. Refrigeration pathed the way for the mass production of agriculture because it made it easier to transport foods in areas that didn’t have any. Due to the inability to preserve food for long periods of time some areas of the world weren’t able to get food or had very little in the Springtime. This is why spring equinox is associated with fasting in many cultures. To many cultures, this is a time to celebrate rebirth and many used fasting as a way to honor it. In the modern world, refrigeration allows food sources to be abundant and easily accessible. This means fasting is no longer forced on us, but many choose it as a health-conscious or religious choice. Some studies have suggested that fasting aids in weight loss, helps lower blood pressure and cholesterol. In the western world, Christians are most known for fasting during Lent. Lent last for about 40 days and is celebrated to prepare for Easter. If you decide to fast this spring, it’s important to prepare first and start slow. It is wise to consult with your doctor before you begin fasting to make sure you are healthy enough to do one first. When the seeds of fruits and vegetables develop tiny roots and their first true leaves start to show they are considered microgreens. Microgreens are in between the growth stages of sprouts and baby greens. Microgreens are typically harvested within two to three weeks after they have been planted in soil. Any herb or vegetable can be grown to become microgreens, but the most popular ones are cilantro, arugula, radish, basil, beets, broccoli, and kale. Microgreens are more nutrient dense than their mature plant version (1). Some microgreens showed results of up to forty percent more nutrients. • Vitamin C – Vitamin C is a powerful antioxidant that helps prevent damage done to cells by free radicals. Go for red cabbage microgreens to get the highest vitamin c.
• Vitamin E – Daikon radish microgreens contain the highest amount of Vitamin E. Vitamin E is an antioxidant that helps slow down the aging process of cells and prevents free radicals from causing any damage to cells. • Vitamin K – Another vitamin heavily found in microgreens is Vitamin K. Vitamin k is responsible for bone and blood health. 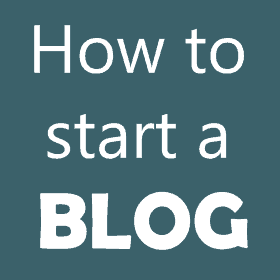 It is responsible for blood clotting or coagulating. • Phytonutrients – Although not essential for life phytonutrients are great for the body because of their anti-inflammatory properties. Phytonutrients are compounds that help protect and increase the longevity of the plant. • Beta-Carotene – Beta-Carotene is commonly found in carrots and has since been discovered in microgreens according to the study done at the University of Maryland. Beta-carotene is a pigment that is converted into an antioxidant called vitamin A. Vitamin A helps maintain the health of skin, eyes, and vision. • Enzymes – Microgreens are rich in enzymes that help break down food and aids in digestion. The high nutrient content of microgreens helps fight against and prevents diseases, lowers your risk of obesity, diabetes, heart disease and high blood pressure. One of the most effective ways of getting and eating seasonal produce is to grow your own! Microgreens only need some space on a sunny windowsill and greens like lettuce can even be grown inside in pots.